Some commentators on the Ghomeshi story – particularly those from outside Canada – apparently don’t understand how grievances work in unionized workplaces in Canada, how a grievance might relate to Ghomeshi’s lawsuit, or the responsibility of his union in representing him. I think it’s important to be clear on those issues, in order to understand why and how the situation might unfold. So I’m going to explain how the grievance procedure works in unionized Canadian workplaces, and relate that to the publicly available information about the story. Unlike the US and other countries, Canada has union-related legislation at both the federal and provincial levels. The federal law applies to a number of types of organizations; one of those is organizations or industries whose business activities cross provincial boundaries. Broadcasting fits that definition, so the CBC as a workplace is under the jurisdiction of the Canada Labour Code – a law that is administered by the Canada Industrial Relations Board. CBC workers are represented by several different unions, but it appears that both Ghomeshi and the worker who alleges he harassed and assaulted her are members of the Canadian Media Guild. Thus, they would both be covered by the provisions of CMG’s collective agreement with the CBC. Every collective agreement in Canada must include a grievance procedure to resolve workplace disputes. So if a union member like Ghomeshi gets fired, and disagrees with the reasons for their firing, they would usually have to use whatever actions were available to them through the grievance procedure before they could file a lawsuit relating to their dismissal. Employees can sue for wrongful dismissal in Canada, but as several experts have noted, a unionized employee cannot simultaneously sue for wrongful dismissal and file a grievance about the dismissal. The grievance procedure in most Canadian workplaces operates like this. The employee informally discusses the dispute with their immediate supervisor. A union representative can be present during this discussion, but that isn’t required. If the dispute isn’t resolved, the employee contacts the union. A union representative may have another informal discussion with the supervisor, or may ask the employee to file a formal grievance. The grievance would include an indication of what the employee wants in terms of a solution to the dispute. When a formal grievance is filed, the union then represents the employee in the grievance procedure and brings the grievance to the employer. The procedure itself includes timelines by which the employer has to respond to the grievance (to ensure that the employer doesn’t avoid dealing with the dispute by ignoring the grievance and hoping it will go away). The union and the employer generally do their own investigations of the dispute. These may include interviewing the employee and any witnesses to the events, and collecting evidence). The union and the employer then meet to discuss their findings, and again attempt to resolve the dispute. If the union and the employer cannot reach a mutually acceptable solution to the dispute, the grievance can be resolved through arbitration. A neutral and independent third party is appointed to investigate the dispute– which may include holding a formal hearing – and creates a solution for the dispute. Generally, arbitration is binding, which means the union and the employer have to follow the solution that the arbitrator chooses. It appears that Ghomeshi had some advance indication that information about his private life was going to become public, and that the information would reflect negatively on him. So he and the CBC had discussions over several months about how to manage the impact of the disclosure, and during those discussions, he provided evidence that, in his view, proved the interactions in question were consensual. There are also two other factors related to the grievance procedure that are important in this situation. Ghomeshi and the accuser who works at the CBC are members of the same union. Even though Ghomeshi and the accuser clearly have conflicting interests in this situation, the union is legally obligated to represent them both. A union can decide at any point in the grievance procedure to drop the grievance, if it feels there is not enough firm evidence to support the complainant’s position, or if it decides that the cost and effort of continuing the grievance does not justify the outcome it anticipates. Any grievance resulting from Ghomeshi’s situation will likely be a complex one, and will receive an exceptional amount of scrutiny – including from the union – because the situation is so high-profile. Both of these factors tie into the concept of “duty of fair representation” in Canadian labour law. Canadian unions are expected to represent their members in a manner that is not arbitrary, discriminatory, or in bad faith. If an employee believes that their union has not met these standards in dealing with a grievance, they can file a complaint with the labour relations board (in this case, the Canada Industrial Relations Board) who will then investigate the complaint and resolve it. If either Ghomeshi or the accuser believe that the union has not represented them fairly in managing any grievance, or has favoured one of them over the other in its actions, they have the option of filing a “duty of fair representation” complaint. It’s important to know, though, that a union can’t decide to abandon a grievance simply because it doesn’t like what the complainant did. It’s not uncommon for grievances to involve unpleasant behaviour or questionable decisions by the complainant, and the union’s representatives might feel that the complainant deserved to be punished. But the union’s job is to not to pass judgement on the employee; its job is to ensure that the employer’s treatment of the employee followed the rules of the collective agreement and was justified by the facts of the situation. And when a labour relations board investigates a “duty of fair representation” complaint, its job is not to decide whether the employee behaved appropriately, or whether the employee deserved whatever treatment they received. Its role is to assess how the union managed the employee’s grievance, and to ensure that the union made reasonable decisions during that process, based on the evidence it had. A few years ago I did a study of “duty of fair representation” complaints in British Columbia. The data I collected indicated that unions’ handling of grievances related to termination – the same type of grievance that Ghomeshi will likely file – were the most common reason for union members to make a “duty of fair representation” complaint against their union. However, the chances were very low that a union member would win their complaint. In the study, I reviewed 138 “duty of fair representation” cases, and union members won only eight of these cases. In general, labour relations boards don’t agree that a union’s decision to abandon a grievance is proof in and of itself that the union failed in its “duty of fair representation”. There has to be substantive proof that the union failed to manage the grievance appropriately, or did not have enough evidence to justify its decision to not pursue the grievance. So while Ghomeshi can make a “duty of fair representation” complaint if he disagrees with how his union manages any grievance he files, there is a very strong standard of proof that will have to be met if the complaint is going to be upheld. I hope this information helps explain some of the labour law context of the Ghomeshi story, and how that context might affect the way in which the case is likely to proceed. Even though the alleged behaviour in this situation is extremely unsettling – and I have the greatest admiration for the bravery of the women who are speaking up about it – I hope that the attention the case is getting will also lead to some serious attention to the impact of workplace harassment, employers’ responsibilities around preventing harassment, and how work arrangements might increase the potential for workplace harassment. 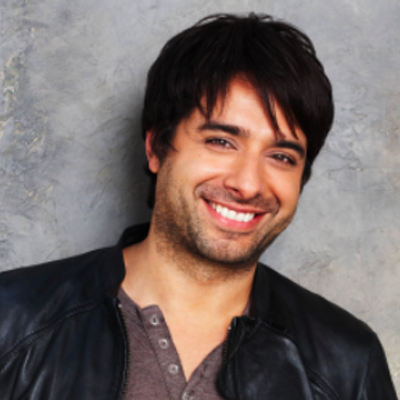 The CBC has undergone a lot of staff reductions in the last few years, and has more employees who are working on contract, in temporary jobs, or in other forms of precarious work – and some of Ghomeshi’s accusers have indicated that they were worried about getting or keeping a permanent job at the CBC if they complained about his alleged actions. As the story unfolds, I hope that part of it gets more attention and investigation too.